A Lower East Side landmark serves as a monument to a rapidly disappearing community. Kehila Kedosha Janina, a synagogue on Allen Street, was built between 1925 and 1927 for a congregation of Greek Romaniote Jews from the town of Ioannina. There are only about 50,000 Romaniote Jews remaining in the world. The community, decimated by the Holocaust, is now concentrated in Israel, while between 1,000 and 3,000 remain in Greece and about 6,500 Romaniotes live in the United States. 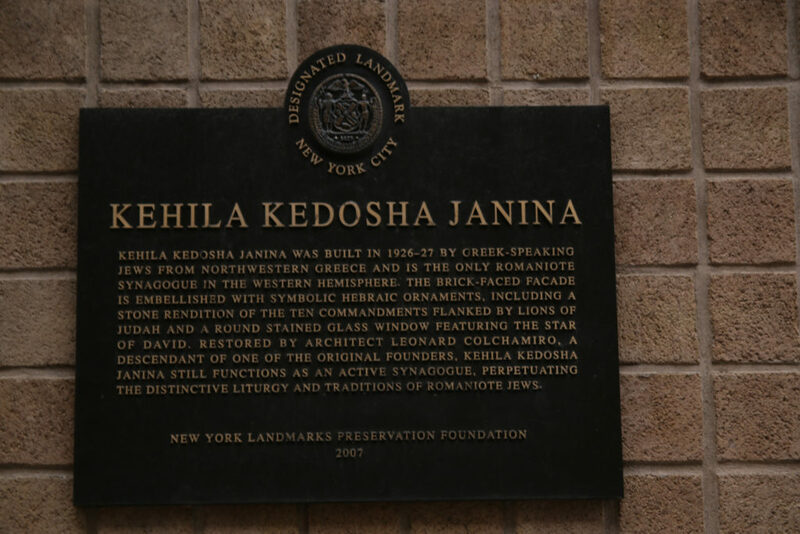 Kehila Kadosha Janina is the only Romaniote-rite synagogue in the Western Hemisphere. There are only about 50,000 Romaniote Jews left in the world today. 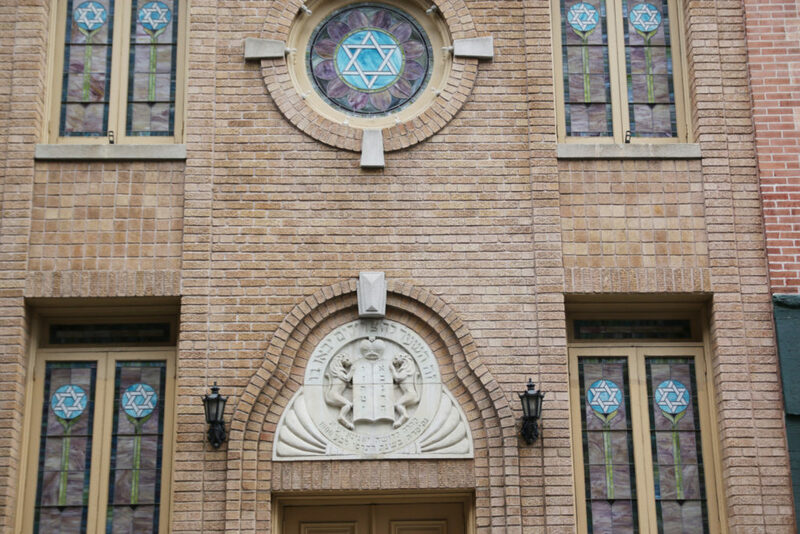 Made a city landmark in 2004, the synagogue is striving to keep a semblance of community life together, although it sometimes struggles to reach minyan, the necessary minimum of worshippers for services in Orthodox Judaism. It doubles as a museum of Greek Jewish history, and in May now organizes the Greek Jewish Festival, a bittersweet tribute to what was once a thriving Greek Jewish community in the Broome Street area.